My daughter drew the name, and we are so happy that you will receive this wonderful book by Renee Robinson! Yay!! Please send me your address, and your book will be on the way! What a perfect way to start off this Christmas season! Congratulations! Okay, so let's get down to business about our reading plan. I am taking the month of December off to rest, renew, restore, and enjoy every second with my family. Of course, I encourage you to stay in God's Word, especially in the midst of the busyness of the upcoming holidays. Check out the gospels of Matthew, Mark, Luke, and John. Good, good stuff. I will be in much prayer over the direction of SHINE girls for the upcoming year. My prayer is that the Lord will guide and lead as the New Year comes upon us. I never want to move an inch without clear direction from the Lord. So, I am excited to see where He leads this ministry. Would you please be praying along with me? Also, I must take this opportunity to thank you for the constant encouragement, love, support, and prayers for me and this incredible gift of a ministry. My eyes brim over with tears as I reflect upon the last 3 years with all of you. Just when I need it the most, I will hear from one of you. The Lord uses your encouragement and prayers to spur me on another day. Truly, you are loved and adored beyond words. So, as I celebrate Thanksgiving this week, I reflect on one of the biggest blessings in my life....all of YOU. You truly bless my heart. Even though many of you I have never met face to face, I consider you one of my best friends. Trekking through this life, studying God's Word together, hand in hand, rooted in Jesus Christ. What is better than that? I pray you feel the Father's Grace, Love, Mercy, Peace, Renewal, Joy, and Restoration this week. As you celebrate Thanksgiving, may the Lord Jesus blanket you with His Presence. This will be my last post on the book of James. I could write a year's worth of posts on this book, but we will stop here for now. The Greek word for the word "submit" is hupotassó. Yeah, try to pronounce that. "Submit" or hupotassó means "to place under subject to, to subject, to obey". So, James is telling us to place ourselves under God. Not only to be under Him, but to obey Him. Sounds like an easy enough thing to do, right? Wow, that's some pretty straight forward language. It sounds kind of harsh, doesn't it? However, God knows our hearts the best and He knows that friendship with the world will take us slap out of His Gracious Covering Hands. Friendship with the world means putting things of this world, above God. However, are we submitting ourselves to God with our time? If we were to look back on the sum of this past week, how much time have we alloted in our days to be with God? This is not to make us feel guilty. This is to wake us up, and make us aware of what may be taking first place over our relationship with the Lord. Life is busy. Life is chaotic. However, if we do not have time to be with the Lord, we have too much on our plate. We have things on our plate that He never desired to be on our plates. Meanwhile, we are left tired, haggard, spent, irritated, stretched, stressed....need I say more? We all have 24 hours in a day. It's what we do with those hours that either draw us close to God or pull us away from Him. There is always going to be "something to do". Always. This will not end until we are called Home to Heaven. The world will pull, beckon, and lure us away from our Father's Arms. You can bet your sweet little pink lip gloss on that. Listen, we can be busy as beavers and still make time for God in our thoughts, in our minds, and in our hearts. We can be wiping baby bottoms, cleaning toilets, grading papers, and still have Him first place in our hearts and minds. Just because we are not physically curled up in a blanket on our couch with our bibles in our hands praying, does not mean we are not "with Him". When we have God first place, when we are under submission to Him, He is always on our mind. No matter what we are doing, we are thinking of His faithfulness, His goodness, His blessings. This is what God desires of us. Why? Because this is how He feels about us. We are His beloved children for Heaven's sake. We are always on His mind. "How precious are Your thoughts to me, O God! How great is the sum of them! If I should count them, they would be more in number than the sand; When I awake, I am still with You. Psalm 139: 17, 18"
As I go throughout my day I often ask Him to help me make Him my one true desire. I tell Him that He is IT for me, and to please help me to show Him this and honor Him in this way. Several times a day I pray this verse from Isaiah 26:8, Your Name and Renown are the desires of my heart. And if it's not, Lord make it be so! One of my favorite scriptures is "my times are in Your Hands" Psalm 31:5. I want to not just say this verse, but live it. I want to put my time in His Hands and not steal it back from Him. When I steal time back from Him it leaves me exhausted, frazzled, and worn slap out. How about you? Are you struggling with putting your time in His Hands? My prayer today is that we will surrender to Him, submit to Him, and place ourselves under Him. Let's put our time in the safest place it can be, in His Hands. 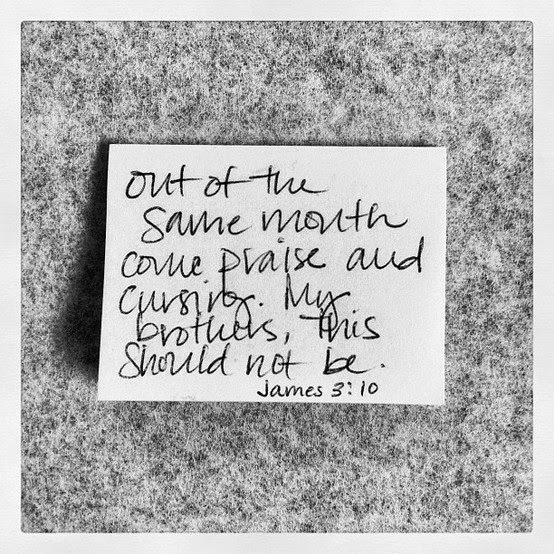 I can only imagine how James must have seen the above verse played out over and over throughout his lifetime. Being the brother of Jesus, he would have seen this kind of behavior and must have marveled at the discipline. Why did Jesus have such a profound effect on the lives around him? Jesus was quick to listen. Jesus was slow to speak. Jesus was slow to become angry. How many people do you know that have all 3 of these actions mastered? Probably not many. I know a few that have one or two, but to have all 3 of these characteristics is rare. Very rare. As women, we want to be heard. We want to spill our hearts out and for others to understand. However, sometimes it is hard to find someone that will actually listen to the entirety, and then be slow to speak after. Often we are interrupted, and given quick advice and then we are expected to get over it and move on. Isn't that frustrating? I can just imagine talking to Jesus, spilling my heart out to Him as He earnestly listens to every word. Then, when I am finished, He just takes my hand and tells me He understands and that He loves me. Isn't that what we all really, deep down, want? Most of my arguments with my sweet and darling better half are over a lack of communication. In other words, I want to talk, and he doesn't want to listen. I get annoyed! I just want him to listen, be quiet, and tell me he loves me. Simple, right? My darling better half wants to interrupt, tell me how to fix my problem, and get back to ESPN. I love him, but this is the truth. No wonder the Bible has to instruct us in every day living. We get it wrong, we mess up, and we wonder what went wrong. Were we quick to listen? Were we slow to speak? Were we slow to become angry? It's not just my better half that has this problem, I have the same problem. I am often not slow enough to speak, and certainly at times give no pause to anger that arises. Yikes. There goes my mouth again! I wonder how our relationships would change if we were to really live this verse out with intentionality and purpose. What if we were to do these 3 things in every conversation? Often we quench what the Holy Spirit has to say when we jump in too quick with advice. Sometimes, we just need to be the listener, and let the Holy Spirit speak to their hearts. He knows what they need to hear the most. As I type, I think about my children. Sometimes as a mom, I am not a good listener. I am often quick to correct, and quick to get angry over their behavior. Sometimes I just want a quick fix for them and then to move on. However, this is not what this scripture is teaching. I need to listen to them more. I need to speak less and let them speak more. I need to be slow to anger. Even when I am at my wit's end with them. Honestly, this post just got away from me for a second. With tears brimming my eyes, this verse is resonating with my mother heart. God's Word always hits with purpose and impact, often taking me by surprise. While I am trying to teach and encourage, He is doing the same with my heart. Constantly teaching me, showing me some tweaks that need to be made, molding my heart. That's what good Father's do. They never stop Fathering us. Let me let this all sink in. I pray God uses this verse to resonate with your heart as well. Relationships will change when we get this. When we live this. James saw this first hand through his brother, Jesus, what this looks like lived out. Oh, and did he see it. He had a front row seat. It's Friday. Why not a SHINE Girl Give-away? Your dear and precious SHINE girlfriend, Jessica Simons, has donated this awesome to prize to be given to one of you! Yay! I know, I know, I know. You want this book, right? 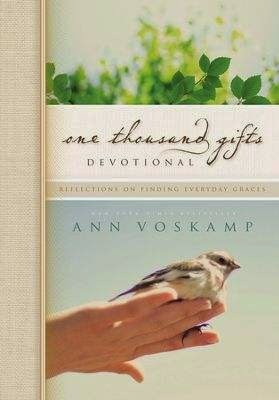 I mean, who doesn't like LOVE Ann Voskamp?? This devotional will go hand in pretty hand with our bible reading. Ahhh. A match made in Heaven. So, here is how you win! Leave us a comment and tell us something you are thankful for! Make sure to leave your name. I will draw a winner this weekend! Fun Fact: Many believe it was the very first New Testament book to be written. 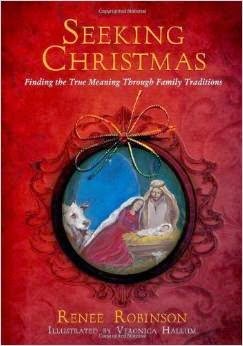 Can we just stop at the fact that Jesus' brother wrote this book? How unbelievably amazing is this. James, the brother of Jesus, knew Jesus from day one. That's pretty cool. Ponder with me for just a second that James knew Jesus intimately. James didn't just know Jesus as the "Son of God", James knew Jesus as his home-boy...his bro'. James and Jesus probably wrestled, played football in the front yard[or something along those lines], and shared many moments together growing up. James knew Jesus just about as intimately as he possibly could, yet James called himself "a servant of God and of the Lord Jesus Christ" in verse 1. Jesus' own brother is calling himself a servant of his very own brother. [Did you catch that?] Whoa! If this doesn't make you drop your jaw, nothing will! Of all of the people on the planet, James could have easily denied the legitimacy of Christ. He certainly would have been the first one to stand up and say, "Whoa! Jesus is cool and all, but no way is He the Son of God. I mean, come on. He is just a normal guy like me." However, what makes this book of the Bible so intriguing and awe-inspiring is that James saw first hand the legitimacy of Jesus. James saw with his very own eyes the sin-lessness of his brother, the miracles, the prophecies, and the resurrection of his brother, Jesus. James was an eye witness if there ever was one! Who better than to teach us about the ways of Christ than the very brother of Jesus? Let's keep this in mind when we are reading. Let's remember who is telling us this stuff as we soak in our daily reading. James, the brother of our Lord and Savior! And, boy, does James start off with a bang. If anyone knew first hand the hardships of trials, it would have been James. As Jesus' brother, I cannot imagine the persecution he faced. The comparisons. The ridicule. The scrutiny being the brother of Jesus Christ. However, ironically, James tells us to "consider it pure joy" when faced with trials. Huh? This almost sounds like an oxymoron. James had lived long enough to see the joy from the trials. Not just his trials, but the trials of those around him. His grieving mother, Mary. The grieving disciples of Jesus. The uprising and uproar of the Jewish people. James witnessed a whole heck of a lot. James' faith was tested over and over again. Yet, he considered it pure joy. He saw with his own brotherly eyes, what pure joy was. Pure joy to James was perseverance and maturity in his faith. He desperately longed for wisdom and looked for it through the trials. He found wisdom through his perseverance and his faith. Let's bring this down to real life. Nobody on Earth wants to hear you tell them to consider it pure joy to be in their current trial. In fact, they may slap you upside the head! Isn't that what James is telling us? James is telling us there is more to the story. Our human eyes cannot behold the workings of the Holy Spirit acting all around us. Our human eyes cannot see the picture unfolding in Heaven. We only see the hard. The heartache. The sickness. The death. The confusion. The loss. The grief. Read that scripture one more time. James is telling us, "Oh, friends! Just you wait and see! This may feel like the hardest, cruelest, most painful thing on Earth...but I tell you, Heaven is producing a work that your eyes will one day get to behold!" James can say this with full confidence, because he saw the end of His Brother's story. He was privy to seeing the "after" of a trial. Not just a trial, but a death. Whatever trial you are facing today, rest assured that He is in it with you. Not only is He in it, He is doing something through it that you will one day see. Maybe not today, maybe not tomorrow, but one sweet day.